Hello my lovely friends. 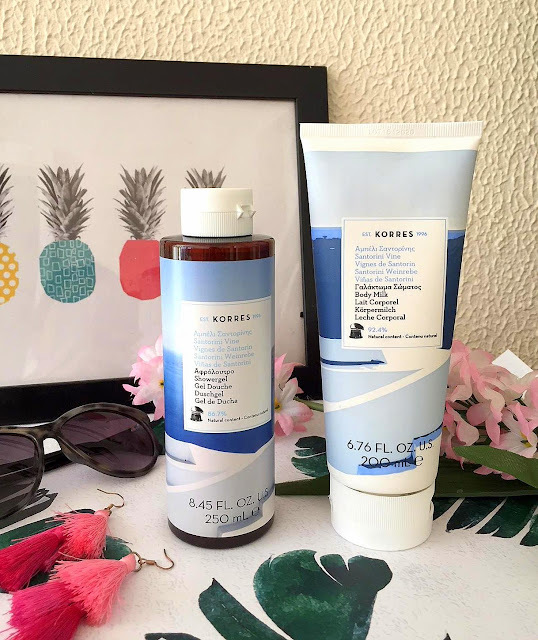 I am back with a new post of a great greek brand and that is Korres. 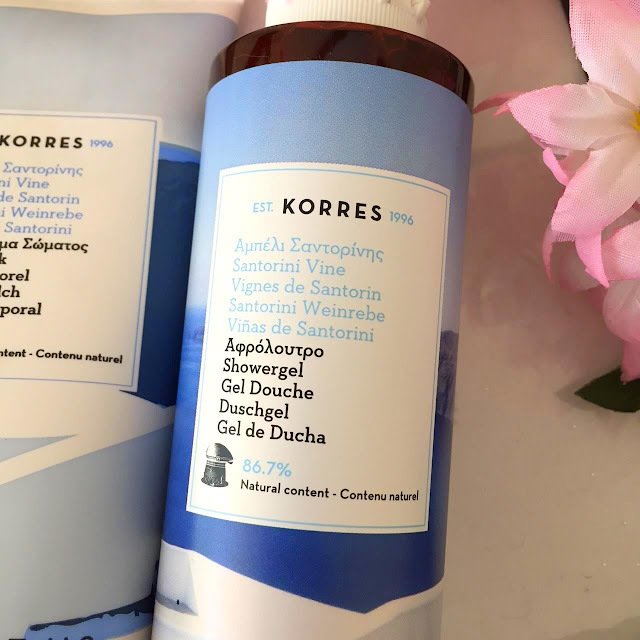 I recently added the Korres Santorini Vine Showel Gel and Korres Santorini Vine Body Cream to my beauty routine, both amazing products that I will definitely re-purchase soon. Korres Santorini Vine Showergel 250 ml - a fresh fruity scent of blossoming greek vineyards that refreshes the skin leaving its beautiful aroma. It is a luxurious shower gel with wheat proteins and althea extract, it helps maintain skin's natural moisture levels. 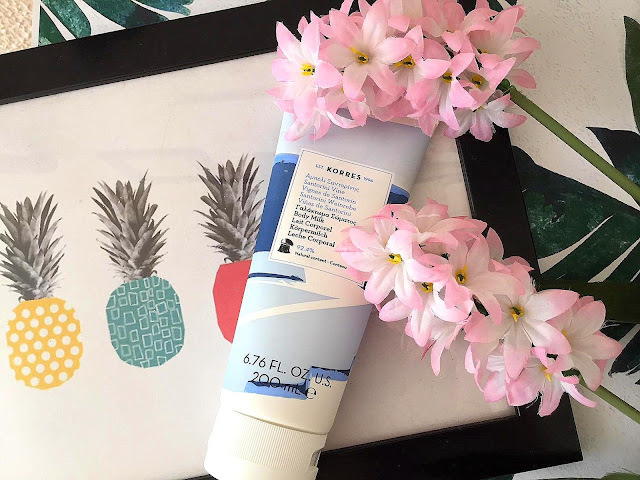 It does not dry the skin and I love the fresh summery scent and I totally understand the name of this range, the scent gives major greek island vibes. If you have been to a greek island before, you know what I mean. 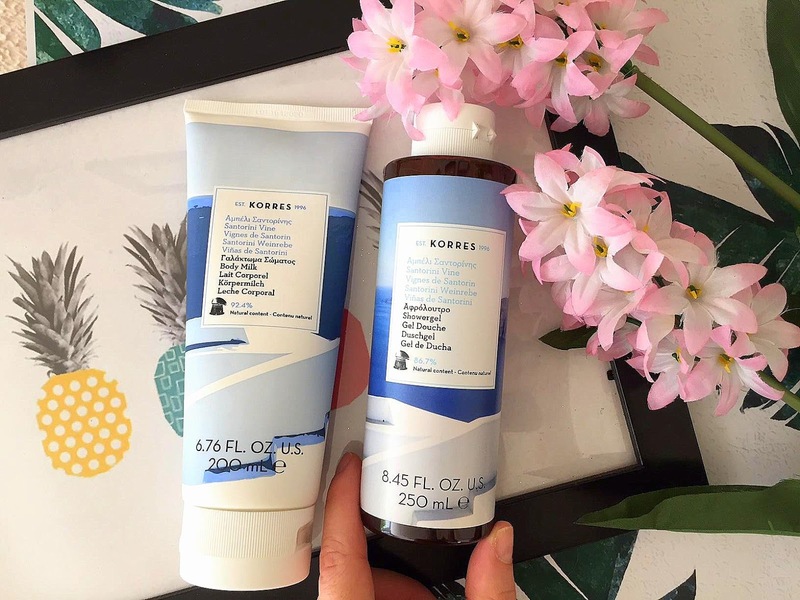 Using this range of products from Korres takes me back on holidays to my beloved Santorini. 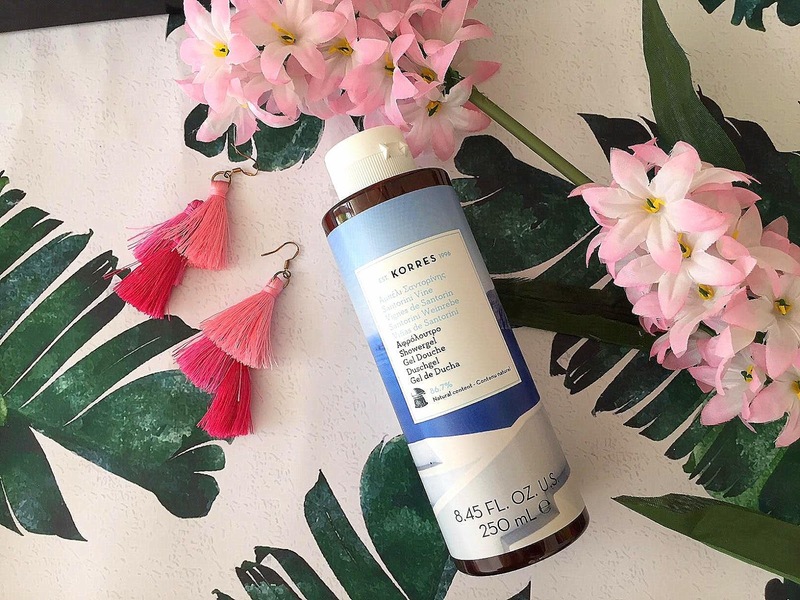 The formula of this product is free from Mineral Oil, Petrolatum/ Parraffin Wax, Silicones, Parabens, Propylene Glycol, Ethanlamines, PEG, SLES, Synthetic Dye, Phthalates, Polycyclic Musks, Alcohol, Retinol, Animal by-products. I am so glad this product is currently on a 1+1 free deal, my fiance loves this shower gel as much as I do but he tends to use half a bottle every time he showers, so a backup is necessary. Korres Santorini Vine Body Cream 200ml - a moisturising body milk enriched with almond oil, aloe and provitamin B5. Aloe vera soothes the skin, providing long lasting hydration. The formula is lightweight yet so hydrating. I would describe this body cream as the perfect summer body product because it is absorbed quickly leaving skin soft and moisturized. It is free from mineral oil, petrolatum, silicones, parabens, propylene glycol, enthanolamines, SLES, ALES, synthetic dye, Phthalates, polycyclic musks. Suitable for vegatarians and vegans. Have you tried this range from Korres? What is your favourite product from this brand? Are you using your sunscreen the right way?